Get the lowdown on all things Resident Evil 2—editions, features, support, and more. 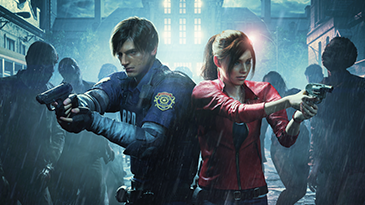 For info, check out the Resident Evil 2 product page. For tips and other help options for Resident Evil 2, go to Capcom support. Go to Order history to see your transactions. Find the latest and greatest info about Resident Evil 2 on Capcom USA Twitter. What's the difference between 4K Ultra HD, HDR, and Xbox One X Enhanced games? Would you like to contact Support regarding the "Resident Evil 2" issue you were reading about or a different issue?